"Qubole makes it easy to turn cloud data into business growth by equipping organizations with a self-service platform to access, process and collaborate, so they can do more with big data. Data-driven companies like Pinterest, Quora, MediaMath, TubeMogul, Answers.com, Video plaza, Pubmatic and others rely on Qubole’s Big Data-as-a-Service Solution to easily tackle their most challenging big data requirements at a fraction of the cost of traditional alternatives. The largest brands in social media, online advertising, entertainment, gaming and other data-intensive ventures make it rain with Qubole. Award winning Qubole was founded by Ashish Thusoo and Joydeep Sen Sarma, creators of Facebook’s big data infrastructure and Apache Hive, with the mission of making it simple to prepare, integrate, access and collaborate in the cloud so that all areas of the enterprise can do more with big data." "We believe that working with Amazon Redshift, we are delivering a comprehensive solution for AWS customers that require a Big Data platform at the largest scale possible. The Qubole Data Service is a pure-cloud solution that runs at enterprise scale, processing 80+ petabytes of data every month across our client base. With cloud-based Hadoop clusters as large as 1,500 nodes, Qubole manages some of the largest Hadoop clusters ever brought up in the cloud." Qubole has a Redshift Data Connector. The Qubole platform provides Big Data as a Service. This not only includes turnkey Hadoop cluster lifecycle management, but also data connectors to various data sources. Redshift is an available data connector type. 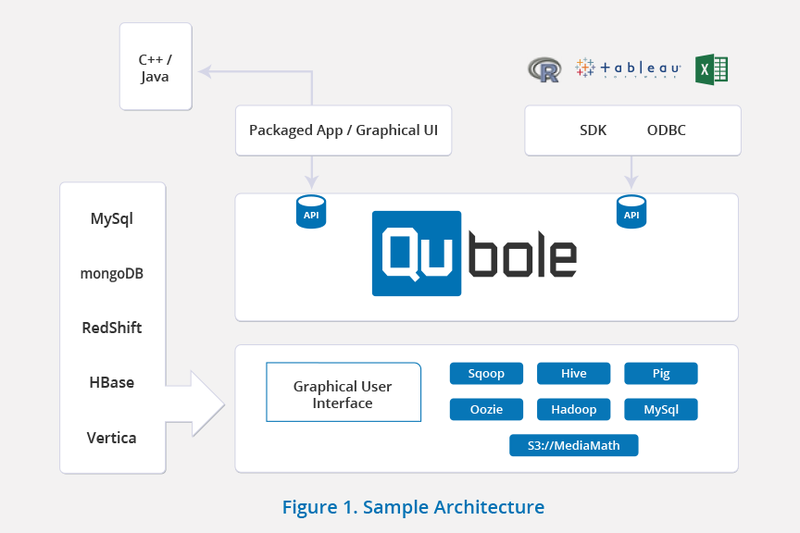 Users of Qubole can import or export data from hdfs, hive, or S3 into Redshift using the Qubole Redshift Data Connector. In a typical Qubole + Redshift use case, Qubole would be used for the “big data” workloads (ETL, ELT, pre-processing, summarizing, aggregation, etc) and the refined data sets would be exported to Redshift using the Data Export option.